Just as they did last year with the "Legendary Edition," Bungie will be releasing a special edition of Destiny that will package all of the game's content together in one neat little package. Titled "Destiny - The Collection," the set will include the forthcoming Rise of Iron DLC as well as all the base game and all previously released content. 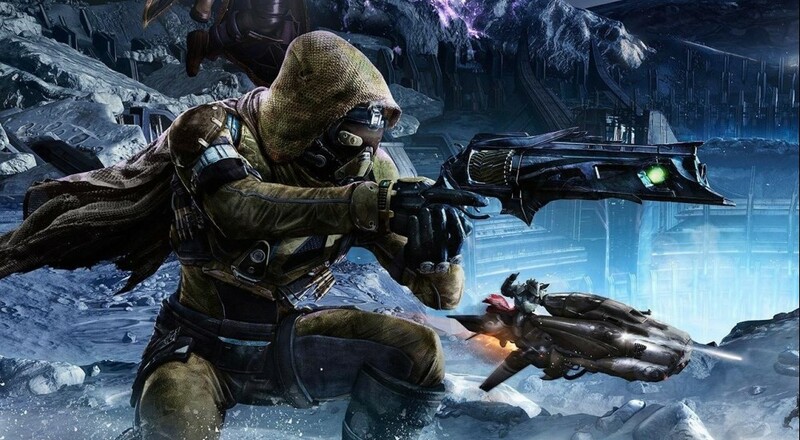 Destiny is not without its issues, but it's also a really fun co-op space loot shooter. The Taken King was a solid update to the game and there's promise for Rise of Iron to follow in its footsteps. So if you've avoided the title so far, this Collection is a good way to get in on everything. If you already own it all, well then you'll need to pony up $29.99 for just the Rise of Iron DLC. At least you'll get the Iron Gjallarhorn for pre-ordering. It's worth noting that Destiny - The Collection is for PlayStation 4 and Xbox One only as the Rise of Iron expansion isn't coming to the PS3 or 360 versions. If you're thinking of picking up a PlayStation 4 or Xbox One S soon, then there is some good news. Yesterday, Bungie kicked off a service that will let players transfer their "legacy" characters to the current-gen consoles. Once you do, you can pick up The Collection Upgrade for $40 to get all content on the PlayStation 4 or Xbox One rather than having to buy everything piecemeal.